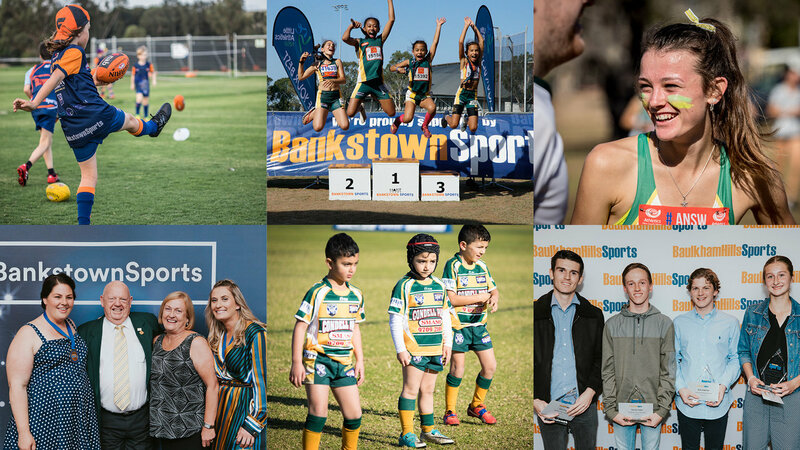 2018 has been an outstanding year for the Bankstown Sports Associated Sporting Clubs with some prestigious milestones reached, numerous awards received, special campaign launches and exciting new additions to our sporting community. The year kicked off with a bang when Bankstown Jets Touch Treasurer, Kylie Wilkinson was awarded Volunteer of the Year during the 2018 City of Canterbury Bankstown Australia Day Awards. February saw Baulkham Hills Baseball Club host their annual Lizzie McKewin Day to supporting Breast Cancer awareness and Bankstown Sports Strikers FC player, Corey Freeman made his first-grade debut for Bankstown United FC. In March, Bankstown Sports launched the Safer Sports initiative with a sports gala day at The Crest Sporting Complex, to promote our sporting clubs as fun, friendly and safe places to participate in sport. Meanwhile, Bankstown Sports AFL Club player, Dema appeared in the Australian Football League national “Don’t Believe In Never” campaign. In April, Bankstown Sports Athletics Club member, Kyle Cranston placed 5th in the Men’s Decathlon at the Gold Coast 2018 Commonwealth Games. Former Bankstown Sports Strikers FC junior, Terry Antonis scored the winning goal to send Melbourne Victory to the A-League grand final. May was an exciting month for a variety of sporting clubs. 2018 Commonwealth Games bronze medalist Nicholas Hough delighted junior athletes at the Bankstown Sports Little Athletics Club end-of-season presentation day held at Bankstown Sports and Bankstown Sports Strikers FC launched their Kindy Squad. Bankstown Sports Hockey Club President, Graeme Barnard, received a Local Sports Star nomination for his ongoing commitment and service to the club. In June, 6-year old Harley Bradshaw from Bankstown Sports Cycling Club travelled to Baku, Azerbaijan to compete in the 2018 BMX World Championships and walked away with a bronze medal. NAB AFL Auskick ran an eight-week program at Roberts Park, Greenacre targeting grassroots participation and skill development for aspiring Aussie Rules player. David Coleman, Member for Banks acknowledged the Bankstown Sports little Athletics Club's athletes and volunteers in NSW parliament congratulating them on a high quality end of season presentation. In July, the Sportsperson of the Year Awards night was held at Baulkham Hills Sports, celebrating sporting achievements in the local Hills area. The Bankstown Sports Ladies Golf Club Gala Day was held at Sefton Golf Course and the event was also used to celebrate golf club member, Noreen Foley, who turned 90. In August, Birrong Sports Football Club hosted a junior football team from Bankstown sister city Suita City, Osaka, Japan. During the visit, the Japanese and Birrong Sports football players participated in a Mini World Cup Gala Day where players were sorted into mixed teams for the tournament and were treated to an Aussie lunch. In September, we proudly welcomed Regents Park Netball Club and Regents Park Football Club into our sporting community as winter sporting clubs began to finish up their seasons, with some associated clubs walking away with Grand Final victories. October was spent celebrating special milestones. Baulkham Hills Cricket Club celebrated 100 seasons with a special evening presentation and Baulkham Hills Hockey Club celebrated their 50th anniversary. We celebrated 60 years of support to local sporting clubs during the annual Service to Sport Medal and Awards night and recognised the hard work, dedication and the remarkable achievements of our volunteers. Bankstown Touch Association was awarded Affiliate of the Year for the Sydney Rebels region during the 2018 NSW Touch Football Blues Awards. In November, Bankstown Sports Netball Club President and Coach, Ashleigh Renton won Senior Coach of the Year during the Bankstown City Netball Association Annual Presentation and 14-year-old Sinead O’Reilly was awarded NetSetGo Coach of the Year. And in December, we welcomed Baulkham Hills AFL Club and Strathfield Strikers FC to our sporting network. We celebrated what was a great year with sporting club volunteers during the Intra-Clubs Delegates' Christmas Party at Auburn Tennis Club, with dedicated volunteers enjoying a social dinner and a game on the court. We would like to take this opportunity to thank each and every one of our associated sporting club volunteers, parents and players for their commitment to their club and we look forward to another successful year in 2019.